Support programs that reduce gun violence by changing the cultural norms and individual behaviors that increase the risk of gun injuries and fatalities. With our large network of activists, we can quickly mobilize grassroots advocacy to contact legislators by the hundreds, travel to Hartford to testify at public hearings and get media attention through opinion pieces and local rallies. Jeremy Stein is the new executive director of CT Against Gun Violence (CAGV). His expertise in gun violence prevention stems from his more than 23 years of experience as a litigator. After graduating from Emory University School of Law, he served as a prosecutor with the Attorney General’s Office for the District of Columbia, where he worked on gun prosecutions with many different police agencies including the ATF, FBI, Secret Service and Metropolitan Police Department to name a few. Jeremy saw the need for more community based initiatives and was the chief attorney for the DC Juvenile Drug Court, a ground breaking initiative that established an alternative to incarceration in our nation’s capital. Additionally, he served as judicial law clerk for the Honorable Patricia A. Broderick in DC Superior Court. He also served as an assistant public defender with the Maryland Office of the Public Defender, in its Baltimore City felony trial division. 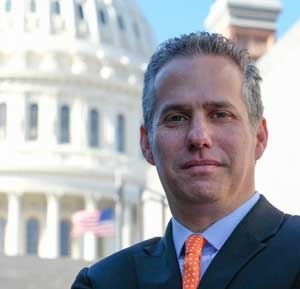 Jeremy also served as civil litigator for 13 years, having tried cases in Georgia, Connecticut, DC, Maryland and New York. Most recently, Jeremy was the managing partner of a defense litigation firm, managing both the NY and CT practices. Following the October 1, 2017 mass shooting in Las Vegas that killed 58 people, CAGV quickly mobilized its supporters to lobby legislators to ban “bump stocks” The bill passed in May, 2018. The legislative victory was the first under Jeremy’s leadership as Executive Director, a role he took on in January 2018. Jeremy has been quoted by the NY Times, The Hartford Courant, CNN, NPR, and BBC Radio and is a frequent speaker against gun violence, including the March For Our Lives. Jonathan joined CT Against Gun Violence in January, 2017 after serving on the Board since 2014. His entry into legislative advocacy followed more than 30 years in marketing communications, where he last was SVP of Strategy & Insights for Wunderman, one of the world’s largest digital agencies. Jonathan holds an MBA from the University of Chicago and a BA from Amherst College. Since the Sandy Hook School shooting, Jonathan has committed his time to lead a range of gun violence prevention activities. In addition to his work with CAGV, he led the Greenwich Council Against Gun Violence and was president of the Southwestern CT chapter of the Brady Campaign to Prevent Gun Violence. His opinion pieces appear regularly in CT-based news media. During the 2016 CT General Assembly legislative session Jonathan managed CAGV’s grassroots advocacy effort that helped lead to the passage of HB5054, to prohibit subjects of temporary restraining orders from possessing firearms. Since 2016 he has coordinated the annual #WearOrange campaign with Connecticut’s leading GVP organizations to observe National Gun Violence Awareness Day. In his position, Jonathan is responsible for developing communications to educate citizens about gun violence prevention and for planning grassroots outreach to recruit supporters to CAGV, and cultivate and guide their advocacy efforts. Joni joined CAGV in February in 2018 with excitement to promote peace in CT by lessening the number of deaths by guns. Joni has a BBA with a major in Marketing Management from Pace University. 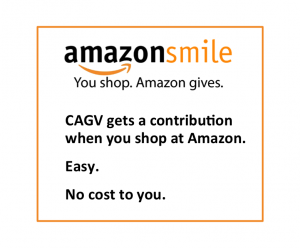 Her wide breadth of experience makes her a valuable player on the CAGV Team. Joni has over 15 years of experience in Information Technology, including Project Management, Business Analysis, Quality Assurance, and Training Development and Leader, and more. Joni also has an entrepreneurial spirit. She created, managed, and led a dance fitness studio for 5 years. In addition, she had her own Virtual Assistant business, supporting life coaches in CA and FL.